The property is detached house spread over 2 floors, garage and garden. Property sits about 25 metres from a beautiful lake and it is in very desired location. The property is semi detached house spread over 2 floors, garage and garden. It is 30 min drive from Prague or 1 bus to the edge of Prague about 35-40 minutes and 1 hour drive from Ruzyne airport. 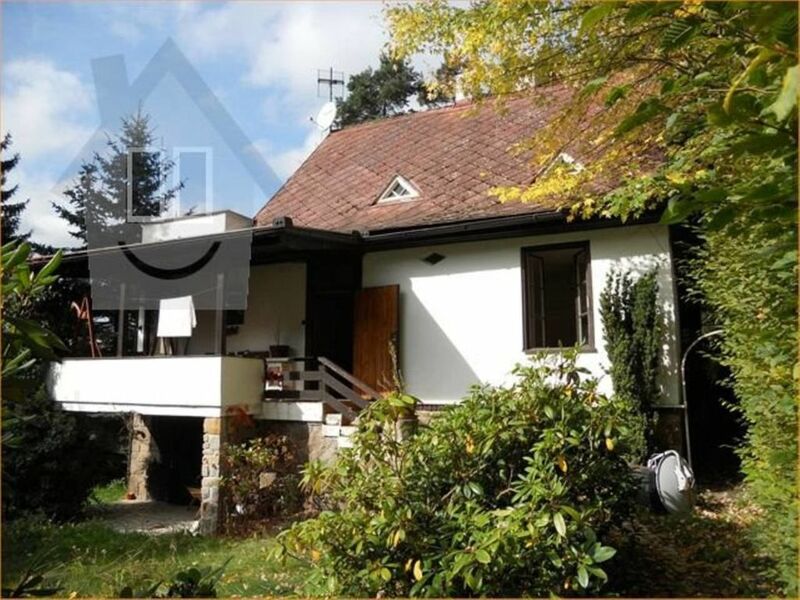 Property sits about 25 metres from a beautiful lake and it is very desired location. 1st floor: large sitting room with nice views and large working fireplace, dinning room, kitchen, conservatory, bathroom, separate toilet, 1 double bedroom and storage. 2nd floor: 1 large bedroom with terrace with a view on lake, another double bedroom. It is in good living condition, cosy and has everything person needs on daily basis. It is lovely area, very quiet and there are few pubs and bars around. The place has 2 shops and it is a very good commuting distance to city. Bus to Prague is about 5-7 min walk away, by car about 35 min to the edge of Prague. It is wonderful location for families, couples and elderly as it is very romantic and peaceful. It is not a party area, so don't expect too much of that, you would have to always travel to near cities or the village pub also offers entertainment. It has many interesting places and monuments around. There is an area abt 10 -15 min walk away or 2 min drive next to the house, where you can go and swim + they organize concerts in summer. If you would like to come with a pet, contact me please prior to booking. I love my country and the lovely nature it has to offer. Jevany has always been my favorite place to have a property since I was 14 years old. It is a beautiful quiet place, where you can also see many Czech celebrities around. My house is opposite a house, where our Top singer Karel Gott used to live and it brings popularity to the area. We had a wonderful stay at Barbora's house in Jevany. It is a very peaceful location and the lake nearby is beautiful. It is also very convenient to visit several places such as Kutna Hora or even Prague. But once you are there, most of the time you are happy just relaxing in the garden or wandering through the surrounding woods. The house itself is well equiped and the beds are confortable. Some of the furniture may be a little dated but that did not bother us at al. The only drawback is that there is only one bathroom and it is downstairs, so not very convenient if you need the loo in the night. Thank you very much Ana. It was a pleasure to host you and your family. I will be happy to welcome you back at any time.